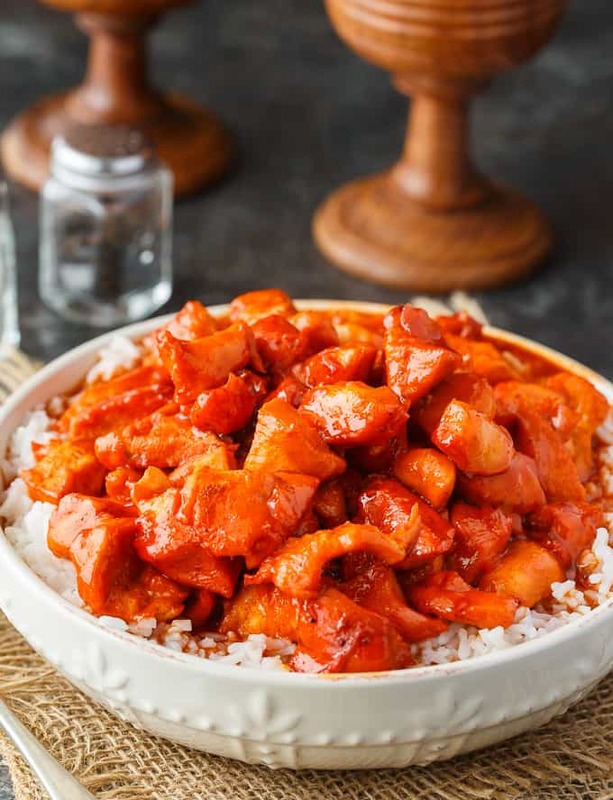 Russian Chicken is sweet and tangy! This easy dinner recipe has a flavorful sauce made with Russian dressing, onion soup mix and apricot jam. Serve on a bed of rice for a delicious family meal. When it comes to dinner recipes, the easier the better. I don’t want to spend a ton of time in the kitchen preparing dinner for my family. 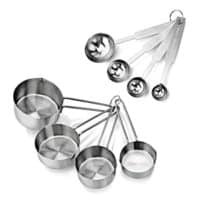 I have a bunch of yummy recipes that I regularly rotate through our meal plan. 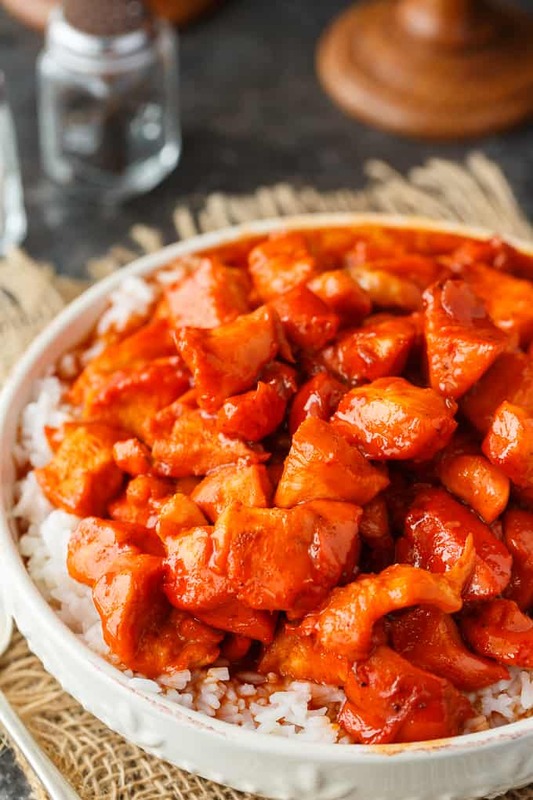 Russian Chicken makes a regular appearance in our home and for good reasons. It’s delicious, easy to make and everyone LOVES it. 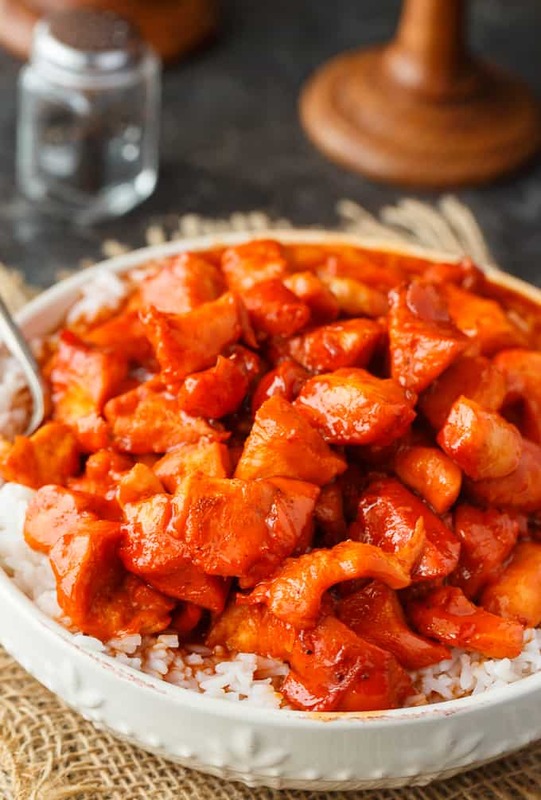 Russian Chicken is an oldie, but a goodie. Everyone who tries it always asks for the recipe. When I tell them, they cannot believe how simple it is! 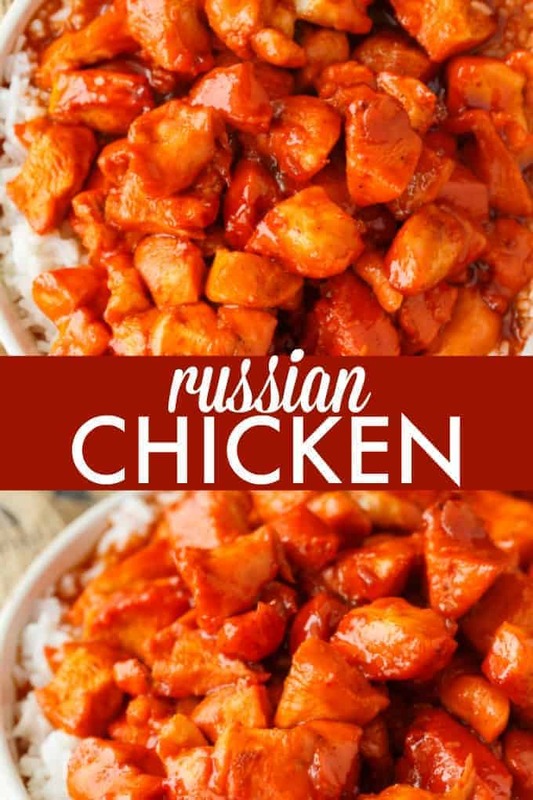 If you don’t have a recipe yet for Russian Chicken, here ya go. You can thank me later. With February being the month of love, I think preparing a delicious meal for your family is a wonderful way to show how much they mean to you. As they say, “Food is love”. The fastest way to the heart is through the stomach, right? Canadian chicken is on the menu at least a couple times a week. Yes, one big reason is that there are so many ways to cook chicken and it’s an ingredient everyone will eat – even my oh so picky youngest daughter. However, there are many other reasons why I LOVE Canadian chicken and regularly use it in my recipes. 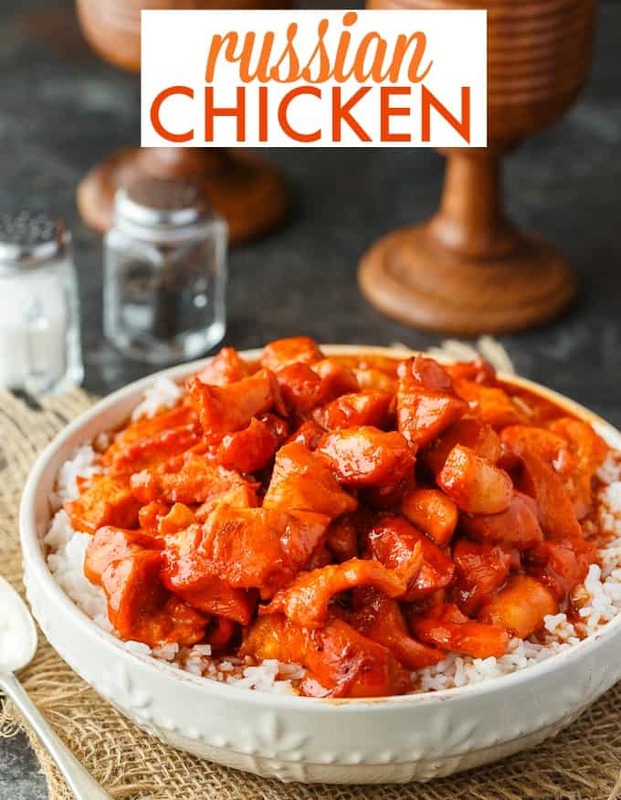 This blog is loaded with chicken recipes if you do a quick search! The hardworking Canadian chicken farmers produce only the highest quality product. You always know when you see the “Raised by a Canadian Farmer” label on the packaging that the product you are getting is the best of the best. Canadian chicken is the best in the world, in my opinion. I wouldn’t serve anything else to my family. Why is it the best? Because Canadian chicken farmers must follow a strict mandatory On-Farm Food Safety program and a strict, mandatory and auditable Animal Care Program that ensures high animal care standards are being upheld. I also love the fact that 90% of Canadian chicken farms are family owned and operated. When you buy Canadian chicken, you are giving them your support. 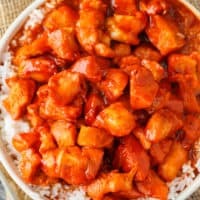 Canadian chicken is affordable (important for those on a budget! ), a healthy source of protein, supports the economy and is top-notch quality. The question really is, what’s not to love about Canadian chicken? You can connect with the Canadian Chicken Farmers on Facebook, Twitter, Pinterest and Instagram. So next time you are shopping for chicken for this Russian Chicken recipe or others, make sure you are buying Canadian. Add the cubed chicken to a 3 quart casserole dish. Season with paprika, salt and pepper and toss until the chicken is covered in the seasoning. In a medium bowl, stir together Russian salad dressing, onion soup mix and apricot jam. Pour the sauce mixture over the chicken and stir to combine. Bake the chicken, uncovered, at 350F for 1 hour. 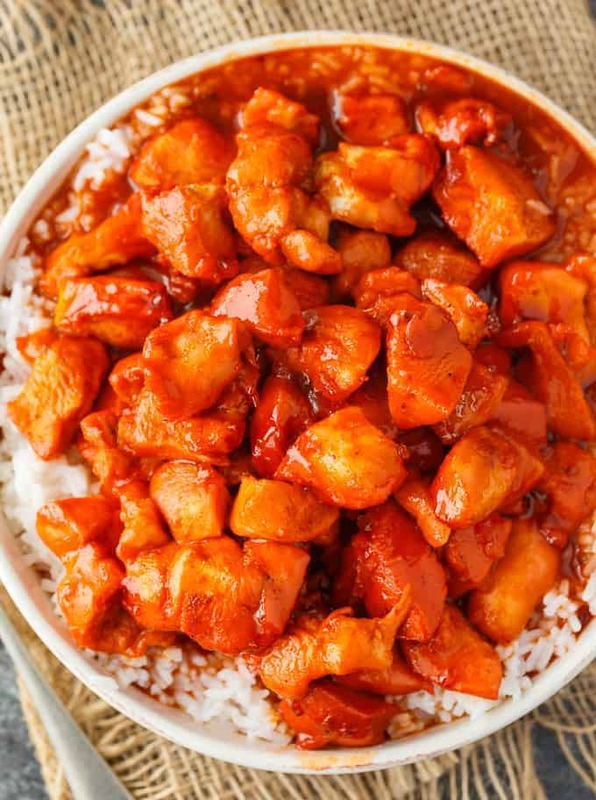 Russian Chicken has a sweet and tangy sauce that tastes delicious paired with rice. I will make a big pot of white rice and mix it with the chicken so that it sops up all that yumminess! It also goes well with a side of green beans or mashed potatoes. Really, you can serve it with any side dish you like. I like side dishes where I can incorporate the delicious sauce. A tossed garden salad is another healthy side. Use Russian salad dressing if you wish! Yes, you can freeze Russian Chicken. Make sure to put it in freezer safe containers after you’ve baked it. 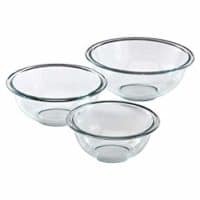 Store the containers for up to 3 months. I would make the rice fresh each time though and just heat up the chicken when you are ready to serve. Here are a few more easy chicken dinner recipes to try. 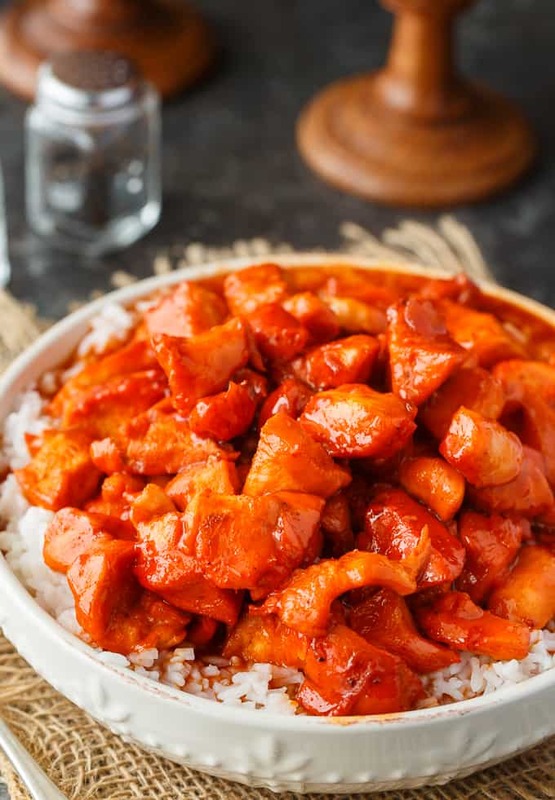 Have you tried Russian Chicken before? Sweet and tangy! This easy dinner recipe has a flavorful sauce made with Russian dressing, onion soup mix and apricot jam. Serve on a bed of rice for a delicious family meal. 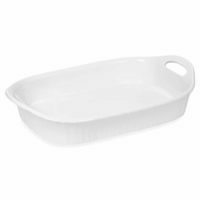 Add chicken to a 3 quart casserole dish. Season with paprika, salt and pepper and toss to cover. In a medium bowl, stir together Russian salad dressing, onion soup mix and apricot jam. Pour over the chicken and stir to combine. Tastes delicious served with rice. 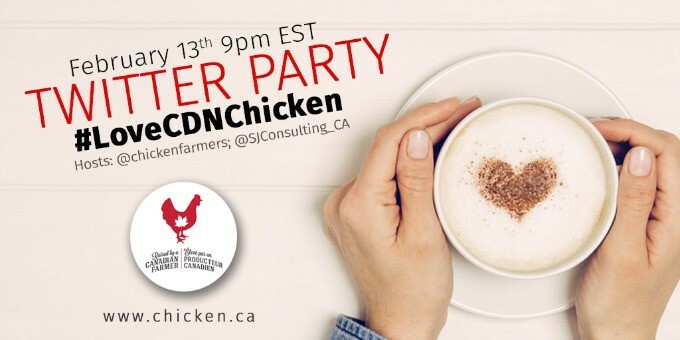 Join us for the #LoveCdnChicken Twitter Party on February 13th at 9pm EST!